Icom manufactures cutting edge radios and communications equipment for various markets, including Amateur (ham) radio, Aviation, Land Mobile and Marine. 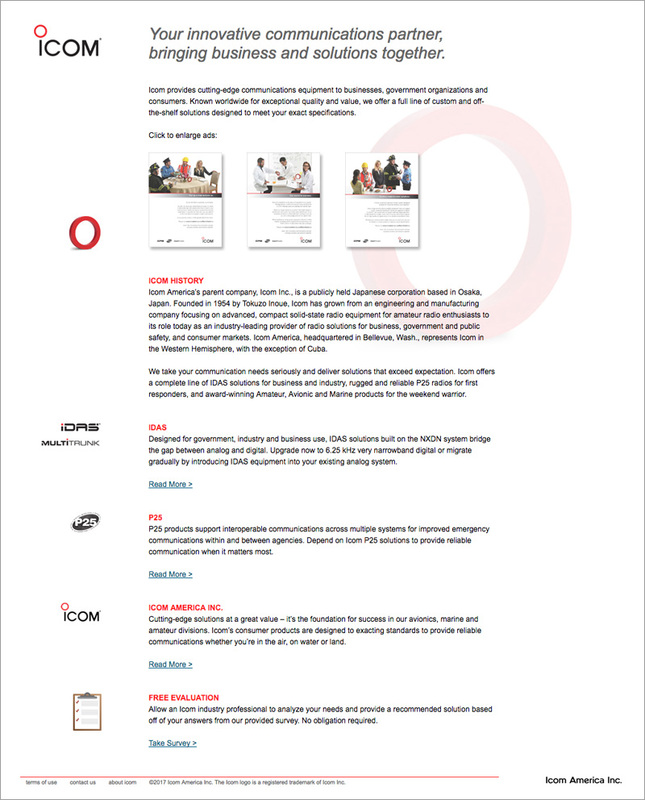 This landing page was designed for Icom's Land Mobile division in an effort to provide background on the company, while highlighting technologies for use in the Land Mobile market. The page features three print advertisements that users can click on for a closer look, then goes more in depth on Icom's history and solutions.